Our pasta nights always feature a big serving of vegetables on the side. When the weather cools down you might not feel like a salad, so a delicious plate of roasted broccoli is a perfect choice. 1. Heat your oven to 220C. 2. 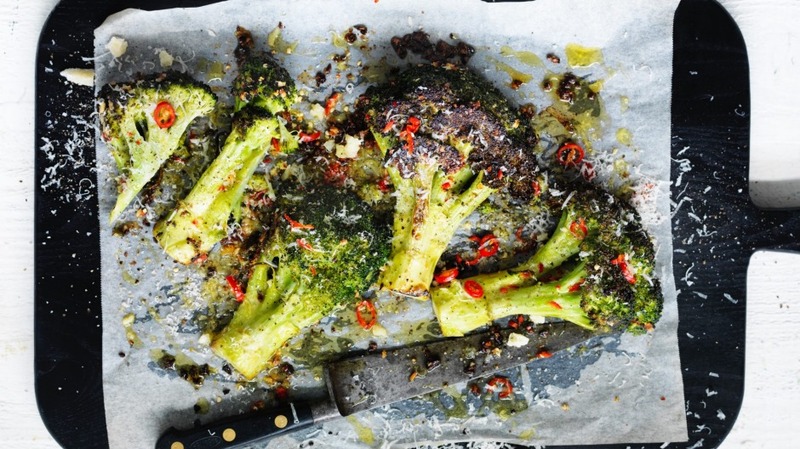 Toss the broccoli in the oil, chilli and garlic and season well with salt and black pepper. 3. Spread out in a single layer on a lined baking tray and bake for 15-20 minutes, until the broccoli is charred and tender. For a delicious pasta recipe, check out our spaghetti with prawns and lemon pepper butter.